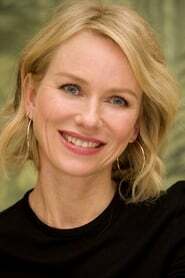 Naomi Watts had already been a working actress for over a decade when she earned notice as a promising newcomer in David Lynch's Cannes Film Festival prizewinner Mulholland Drive (2001). Born September 28th, 1968, Watts began acting in her teens, landing her first film role in For Love Alone (1986). Watts subsequently appeared with future Hollywood headliners Nicole Kidman and Thandie Newton in John Duigan's disarming teen romance Flirting (1991). Watts's next film with Duigan, Wide Sargasso Sea (1992), was not so well received. After her first taste of Hollywood with Joe Dante's schlock movie homage Matinee (1992), Watts nabbed a starring role as Jimmy Smits's disturbed student in George Miller's little seen courtroom drama Gross Misconduct (1993). Watts then starred as Jet Girl to Lori Petty's Tank Girl (1995), but the science fiction fantasy suffered an ignominious box office fate. After a series of TV movies and thrillers, including Sleepwalkers (1997) and Children of the Corn IV (1996), Watts appeared in Marshall Herskovitz's high-toned Venetian courtesan costumer Dangerous Beauty (1998) and successful TV docudrama The Hunt for the Unicorn Killer (1999). Watts's breakthrough finally arrived when David Lynch cast her in his ABC pilot Mulholland Drive. Though ABC canceled the project in 1999 after Lynch turned in a typically mood-drenched work, StudioCanal financed its transformation into a feature that debuted to acclaim at Cannes in 2001. A Los Angeles dreamscape akin to Lost Highway, Mulholland Drive featured Watts as the blonde half of a female duo caught in a mystery of shifting identities. Drawing attention for her not-for-network TV love scene with co-star Laura Harring, Watts also earned praise as a rising "new" actress. Though ignored for an Oscar nomination, Watts's tour-de-force dual performance earned her numerous accolades and critics' awards, igniting her career. Working steadily in the wake of Mulholland Drive, Watts scored a box-office as well as critical success a year later with The Ring (2002), the Hollywood remake of the Japanese horror blockbuster. Starring Watts as an intrepid reporter investigating the origins of a lethal videotape, The Ring overcame studio doubts to become a sleeper hit, solidifying Watts's new star status. Watts subsequently donned period dress for the Showtime western The Outsider (2002), and to co-star alongside fellow Aussie Heath Ledger in The Kelly Gang (2003). 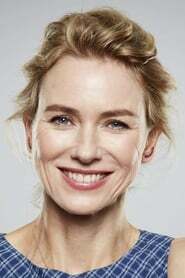 Balancing her genre work with potentially headier fare guided by notable directors, Watts also appeared with Kate Hudson, Glenn Close and Stockard Channing in the Merchant-Ivory romantic comedy Le Divorce (2003), and won a leading role opposite formidable actors Sean Penn and Benicio Del Toro in Alejandro González Iñárritu's 21 Grams (2003).